in the grate and in me. sits in the light from a leaded window. he writes on costly paper with a pen. to see what might be salvaged and made whole. before he writes; the page allows no error. that are bare but green, with scattered trees. to perfect each thought and I who cheer him on. at the rear ends of oxen. husbands sober, wives not beaten. at times a ghostly bell. and they drill with wooden swords. 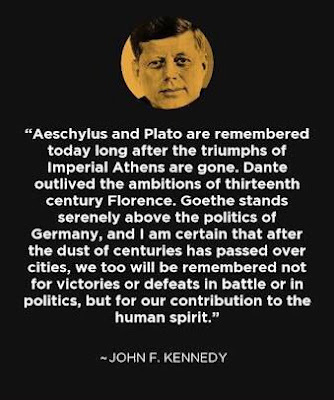 the trope of unified will. to whom they write, for whom they henceforth care. they could leave at any time, but to go where? not be a major argument against it. there are no phones, stops. if it might not be freedom. Author of two book-length narrative poems, THE ADVENTURE and HAPPINESS (Story Line Press), and a collection, A POVERTY OF WORDS (Prolific Press). Another collection, LANDSCAPE WITH MUTANT, to be published in 2018 by Smokestack Books (UK). Many other poems in print and online journals. Adjunct professor creative writing George Washington University, Washington, DC. 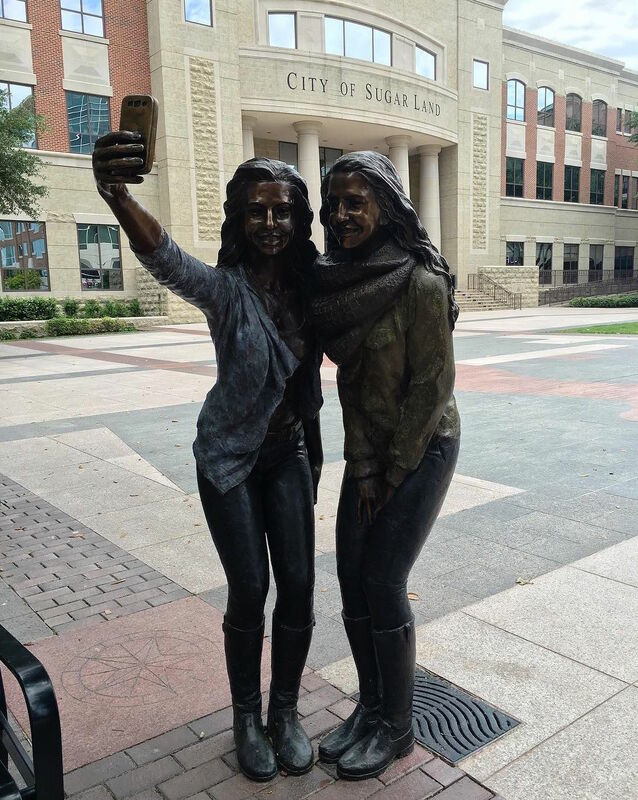 The pair isn’t posing at just any place, either, but in Sugar Land Town Square’s public plaza. They sorority squat slightly just a stone’s throw away from the steps of City Hall so the stately building serves as their backdrop. As per a municipal press release , the statue is meant to “show activities common in the plaza” — which gives you a good sense of how people apparently like to spend their time outdoors. Nearby, city officials also installed another bronze sculpture of a guitar player sitting on the edge of a fountain. 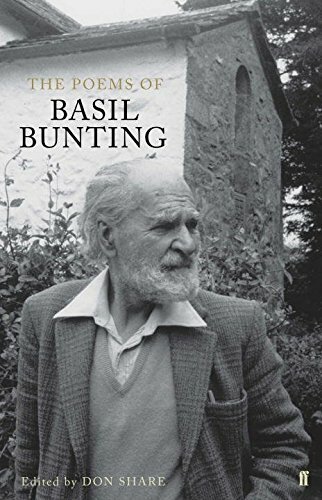 Thrilled to be able to announce the publication (publication-date is June 16 ) of a new edition of The Poems of Basil Bunting, lovingly and attentively edited by Poetry magazine editor, Don Share. "This is the first critical edition of the complete poems, and offers an accurate text with variants from all printed sources". Share, "annotates Bunting's often complex and allusive verse", Faber and Faber, the publishers, note, "with much illuminating quotation from his prose writings, interviews and correspondence. He also examines Bunting's use of sources (including Persian literature and classical mythology), and explores the Northumbrian roots of Bunting's poetic vocabulary and use of dialect." Basil Bunting - it's his year - This year (as we've previously noted), 2016, marks the 50th anniversary of his masterly achievement "Briggflatts"
Our regular reading period is now open! We’re accepting submissions for Ploughshares literary magazine and for our Ploughshares Solos series of long stories and essays. The reading period will remain open until January 15, 2017. For guidelines and to access our submission manager, visit our website. 2015 marked the launch of our brand-new submission manager, just six short months after the launch of our brand-new website. We're happy to report that we've incorporated the great feedback we received over the past year into the system, making the submission process as streamlined as possible. Remember, if you have a subscription to Ploughshares, you can submit online free of charge. Visit our website to subscribe. Have something ready now? Submit today! Copyright © 2016 Ploughshares, All rights reserved. It is never our intention to send unwanted email. You are receiving this newsletter because you subscribed at our website, but you can unsubscribe from at any time using the "Unsubscribe" link. This year we are thrilled to announce a new partnership with Canberra's Street Theatre to present the workshops in the ACT for the very first time under the talented guitarist and composer Jess Green! The workshops will also take place in Sydney at the Conservatorium Open Academy and in Perth in partnership with the WA Youth Jazz Orchestra at the Western Australian Academy of Performing Arts (WAAPA). As the workshops continue to go from strength to strength, our goal remains the same. To create more opportunities for women in the genre of jazz. With the support of our media partner, ABC Jazz, we look forward to joining forces with our national partners in an exciting year ahead. A short course aimed at women who are interested in pursuing jazz and improvised music, the Young Women’s Jazz Workshops have been changing the face of Australian jazz since 2002. Developed by Dr. Sandy Evans OAM and the Sydney Improvised Music Association to develop skills and confidence in improvised music, this pioneering program has had a direct impact on the number of women studying jazz at conservatoria across the country. The course offers exclusive opportunities for participants including ongoing performance and touring prospects.Participants also create new friendships and networks with like-minded people. Our course tutors are sought-after educators and in-demand musicians. The course includes masterclasses with leading practitioners in the field. We cater to all skill levels. Entry is by written application and audition. Classes run on Saturdays over eight weeks and culminate in a public concert. In 2016, the workshops will be held in three States for the first time. This could be a life changing experience, so don’t hesitate in applying today!